A comedic masterpiece with a stellar leading performance from Frances McDormand. 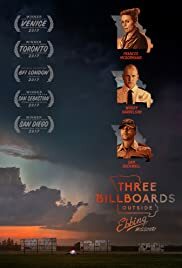 Three Billboards Outside Ebbing, Missouri is a dark comedy that has an a-list cast with names like Frances McDormand, Woody Harrelson, Sam Rockwell, John Hawkes, and Peter Dinklage. It centers around Mildred Hayes, a woman whose daughter was raped and killed, and who believes that the local police have not done enough about it. In reaction, she erects three billboards outside of her town that send a message to the sheriff about the state of the investigation. Writer/director Martin McDonagh (Seven Psychopaths, In Bruges) has outdone himself with this one. 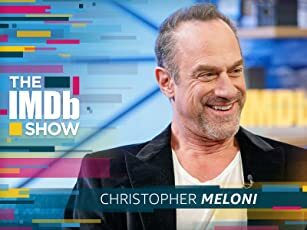 In my opinion, if this isn't one of the top Oscar contenders come awards season, then Hollywood has officially lost its mind. Basically everything about this film works: from the acting, to the writing, to the direction. Mcdormand gives the performance of her career here, giving us humor through all the pain clearly shown on her face. Rockwell also gives his best performance here as a cop who isn't that bright and is more than a little racist. Three Billboards Outside Ebbing, Missouri is probably the most unpredictable film of the year, and that's coming from a year that includes films like Baby Driver and Logan. There are scenes where you think that you know where the plot is going, but then midway through it completely flips the script. For the entire run-time of this film, I was invested. It has the perfect run-time; it ends exactly when it needs to and there is not a scene that feels out of place. It seems like one of the hardest things to do in film nowadays is to balance comedy and drama. However, this movie does it effortlessly. Each scene has just the right amount of comedy and drama, and sometimes, despite the fact that you're laughing, it's easy to forget that jokes are being made. Also, the message that this film gives off resonates very powerfully with you after the film finishes. It makes you see the good side in humanity, despite our flaws. No character in this film is a cliché one-dimensional shell of a person. Everybody has a reason for being there, which is more than some films recently have offered. Three Billboards Outside Ebbing, Missouri is easily one of the best and most enjoyable films of 2017, and it will make you laugh, cry, and think all in one sitting. There are not any clear flaws with this film that I can find, but I am still searching. 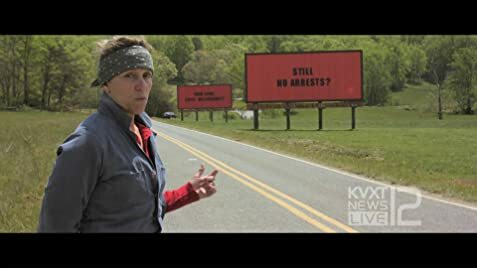 I give Three Billboards Outside Ebbing, Missouri an A+. 265 of 399 people found this review helpful. Was this review helpful to you?